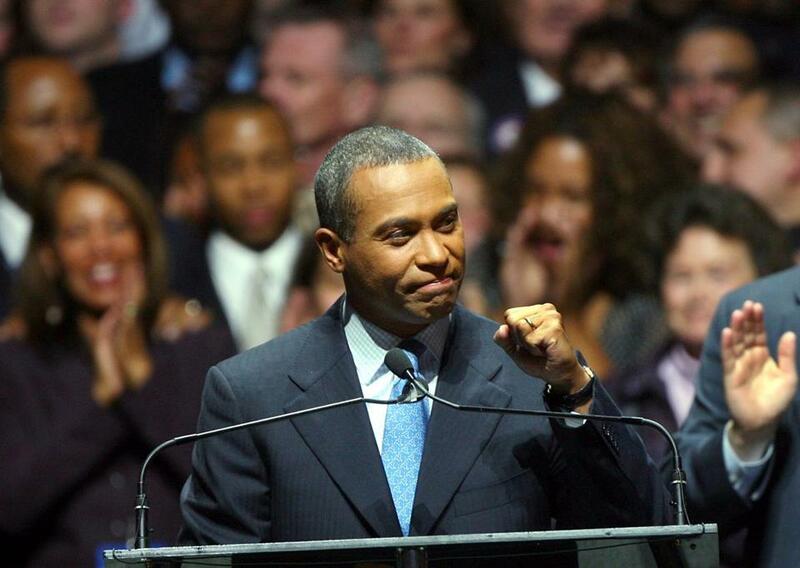 At the Hynes Convention Center, Deval Patrick throws his fist to supporters after winning the election to become the new governor of Massachusetts. Deval Patrick, the former Massachusetts governor long considered a possible Democratic presidential candidate in 2020, has decided not to enter the race. Patrick’s decision, first reported by the New York Times, was confirmed by people close to the governor. He was first elected in 2006 and occupied the corner office on Beacon Hill for eight years. Known for his charisma on the campaign trail, Patrick is a close confidant of former President Barack Obama. Patrick made more than 14 trips to other states to campaign for Obama in 2012 and took six international trade missions in his final two years in office, visiting 12 countries, from Colombia to Japan. Patrick spent several months campaigning for Democratic candidates running in the midterm elections. During his time in office, Patrick secured reforms in transportation, education, and ethics, and launching initiatives that stimulated the clean energy and biotechnology industries. But he also legalized casinos, surprising and disappointing supporters, and was besieged by management problems in health care, child welfare, unemployment benefits and a state drug lab that bruised the faith in government he was determined to restore. The crowded field of likely or rumored Democratic candidates in 2020 still includes Massachusetts Senator Elizabeth Warren, and two Massachusetts congressmen, Seth Moulton and Joe Kennedy III. Obama’s vice president, Joe Biden, is also considering a run. Joshua Miller of the Globe Staff contributed to this report.